The topic of GMOs is a highly debated subject today especially concerning what goes in to our food. Many people argue that we have been modifying our food since we switched from a hunter gatherer society to an agricultural one, and that there is nothing to worry about. Conversely the other side says that we should stick to the old adage “If it ain’t broke, don’t fix it” and that GMOs are unnecessary and dangerous to our health and that of the environment. That selective breeding is different than transgenics, how many GMOs are engineered today. Before we are able to determine whether or not GMOs are “good or bad” we first have to know what they are. Genetically modified organisms, or GMOs are in this cases foods that have had their DNA modified through artificial means. This isn’t to say that the plant or animal itself couldn’t exhibit these traits on their own without human intervention, but that it would take a very long time to do so via traditional selective breeding practices. It is similar to traditional methods of selective breeding in that we are choosing what traits we want in a particular crop, this new process just being much more precise. The difference being that with the new techniques available to us now, we can specifically go in and insert or delete the gene itself as opposed to picking what phenotypes we liked through selective breeding. This is a much more fast and precise method in choosing what characteristics we want from the organism in question. 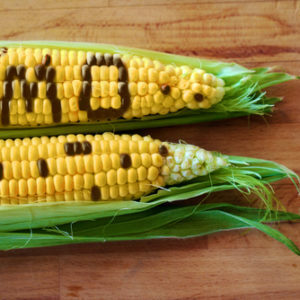 Have Genetically Modified Foods Been Tested? How Long Have They Been On the Market? Many people are unaware of this, but genetically modified foods exist in a wide variety of foods you eat on a daily basis. In addition, this has been the case for many years now, and we have decades of history to now go on. 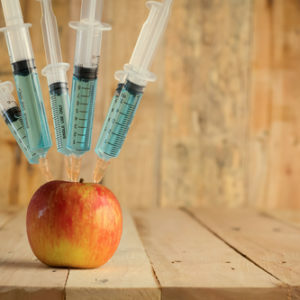 I’m sure many of you are thinking that you have never eaten anything genetically modified, and the thought of doing so is both disgusting and scary. The truth is, chances are that you have eaten plenty of genetically modified foods already. If you enjoy foods that contain any type of soy, have any canola oil, contains corn or beet sugar chances are that they are genetically modified, unless otherwise noted. This includes almost all cereal types, anything with corn syrup or high fructose corn syrup(soda, candy, ice cream, sports drinks, cookies, etc.). It also includes many items that have additional sugar added, usually from GMO beets. In some countries mainly in Europe, some genetically modified foods are banned, but if you live in the United States chances are that you have eaten some. What is the Difference Between Traditional Modification and What We Do Today? Another important question we need to ask is, what is the difference between the two, if any? The difference is that not only can we specifically pick and choose what genes we want at a microscopic level through deletion and insertion, we can use outside DNA as well. This means that we can take DNA from organism number 1, that wasn’t present in organism number 2, and put it there. This is a scary new concept that is the most frightening aspect to most people. This process of taking DNA from one organism and implanting it in to another is called transgenics. We have used this already like in corn for example. We took a gene from a bacterium and implanted it into the corn plant, which causes the pests that feed on the corn to ingest this new toxin, which destroys their digestive tract killing them. There are many applications where this can be useful another example being the fortification of white rice with Vitamin A, to eradicate blindness in impoverished areas. So What is the Verdict? Are GMOs Good or Bad? As mentioned earlier, the biggest fear and concerns regarding GMOs are the unknown. We simply will not know the results of implementing transgenics in certain species. The good news is that many of these genetically modified food we have already been ingesting for decades now, to which no negative side effects have been noted. So far it seems that GMOs are safe and there really isn’t any conclusive evidence out there that says otherwise. Don’t be afraid of GMOs!